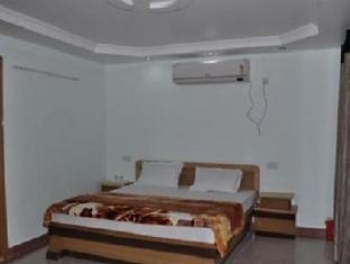 Ganesha Inn is budget deluxe hotel in Rishikesh, which offers splendid view of Ganges just few yards away with magnificent view of Sunset over Ganges. The Ganesha Inn Hotel is located in Tapovan, near to all the major attractions like Lakshman Jhula and Ram Jhula in Rishikesh. The distance of hotel from City Center is just 2 kms. There are 11 rooms in Hotel Ganesha, which are decorated with subtle aesthetic sense, some of them providing a direct view of Ganges. There are two types of rooms available in the hotel - Standard & Executive. The kitchen is a source of a large gamut of home-made vegetarian cuisines prepared on order. The View - is the restaurant offers fresh Indian, Continental, South Indian, Chinese or Italian cuisines right there in the lobby with a panoramic view of serene Ganges. - Adventure Games, Sight Seeing, Wildlife Safaris and Pilgrimage trips. Nearest International Airport is in New Delhi 227 kms away. 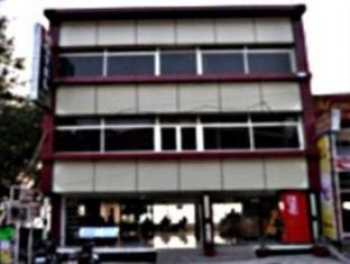 There is a domestic terminal in JollyGrant that is at a distance of 22 kms from the city. Nearest Express RailRoad station is Haridwar at 22 kms. The Ganesha hotel is 24 kms from Haridwar, 43 kms from Dehradun, 78 kms from Mussoorie, 227 kms from Kedarnath, 234 kms from Yamunotri, 260 kms from Nainital, 262 kms from Shimla, 275 kms from Govindghat, 300 kms from Badrinath, 398 kms from Agra.